Confession: I’ve had two other shops with Etsy before, but third time is a charm! I have the heart and mind of a creative. I’ve always enjoyed creating and figuring out how to best use it all (sometimes at once, and that just doesn’t work.) My grandmother was an amazing seamstress and my mother is a ridiculous jack of all trades. From sewing to sand blasting glass to making jewelery, she really can do it all and I’ve admired that about her. It’s amazing what you can do with as little or as much as you want. I’m always inspired daily and am constantly trying to refine a product that is the very best of what it can be and the very best I can make it. So that’s probably why I love Etsy so much. I love the community it brings and the inspiration I find there. This time around I’ve put my best foot forward and if anything I’ve learned to really just have fun. Have fun creating, sharing, and blessing those I have the opportunity to get to know through here, instagram, and other avenues along this journey! One thing I’ve realized though is that in anything it takes time and true investment for it to grow…but I didn’t realize how much investment it takes and has taken to grow as much as I have. I’ve learned to not despise my small beginnings so when I hit 20 sales in the shop recently, I jumped for joy (literally). When I had a guest blog post on Love, Joleen – I definitely sent it to all my dear friends and couldn’t believe it happened. I want to soak up every ounce of this journey and never forget when I just wanted at least 1 sale. I’m all about lending a hand and growing together in the handmade community. It’s intimate, personal, and a joy to be surrounded by such creative minds and just awesome people. Sometimes we get “caught up” in who is copying who or stealing ideas and we miss it. I’ve been praying and thinking about how can I lend a hand. No I’m not a “big deal” and I most certainly haven’t “made it,” but I can spread the word and bring business to those that want to grow and are finding their niche just like myself. It’s expensive doing this handmade business. The cost of supplies and really shipping alone has made me realize why people charge as much as they do. I hope to make a profit one day, but I’m getting my hands dirty first and setting my base of quality product. And really I just down right enjoy The Blue Swallow. It’s my own labor of love and honestly just a way to bless and share with others that someone cares. So what if that sounds silly, but it’s true. I LOVE happy mail…but even more than that I love sending it. I love that I sketch and plan each design I create for that person. I love that it’s personal…that’s who I am. So I wrote all of this to really say – HEY YOU! Yes you handmade business! I want to partner up with you for the holidays! 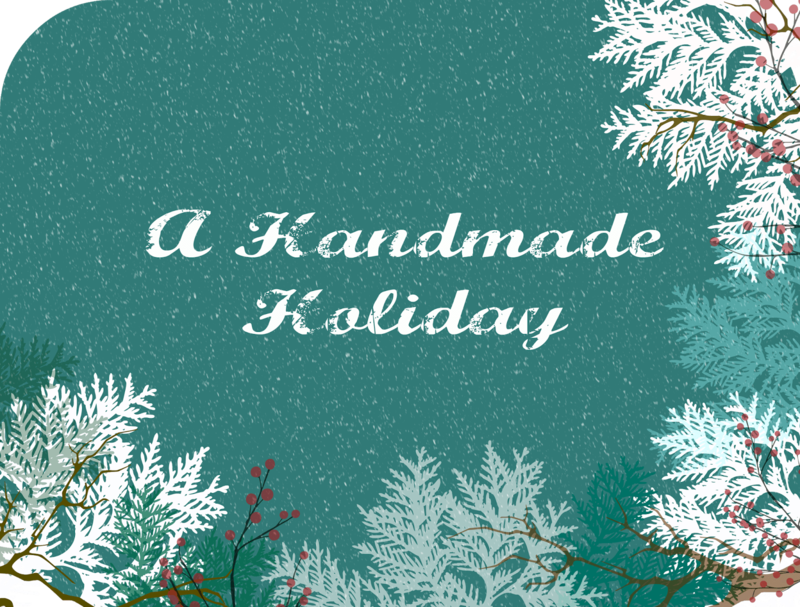 From the beginning of November right up to Christmas I will be featuring a handmade shop here on the blog as well as on my Instagram! Whether it’s a sale you have going on or a giveaway that you would like to do, I want to be your platform. No cost to you at all. What I need is for you to email me at blueswallow.inc@gmail.com and share who you are, your shop, and what you would like me to feature about it! I was super bummed I couldn’t afford to be a part of some of the fun holiday guides out there, but who says you can’t do your own? So I’m going to! I hope you’ll join me! Please spread the word as much as you can, there are a lot of days to fill!